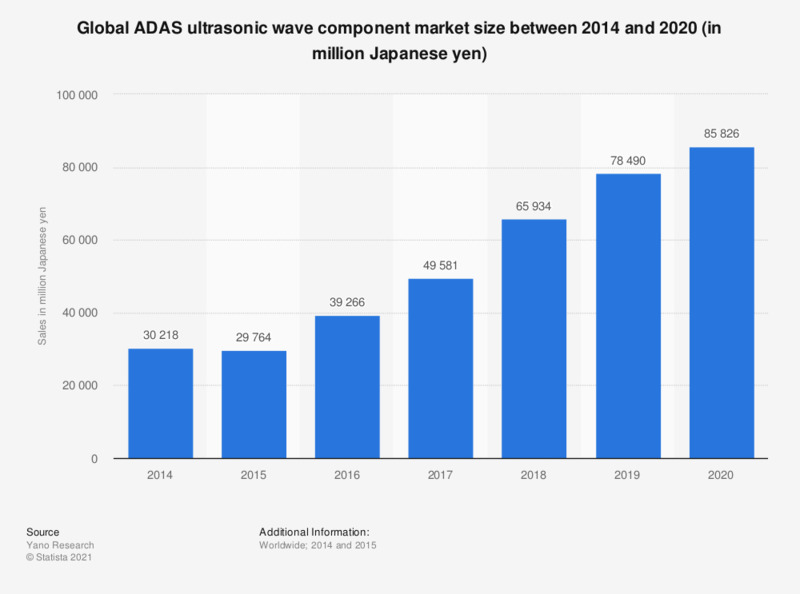 This statistic represents the size of the global ADAS ultrasonic wave component market between 2014 and 2020. It is estimated that the global market for such components will be sized at around 85.8 billion Japanese yen by 2020. The figures for 2016 through 2020 are projections.